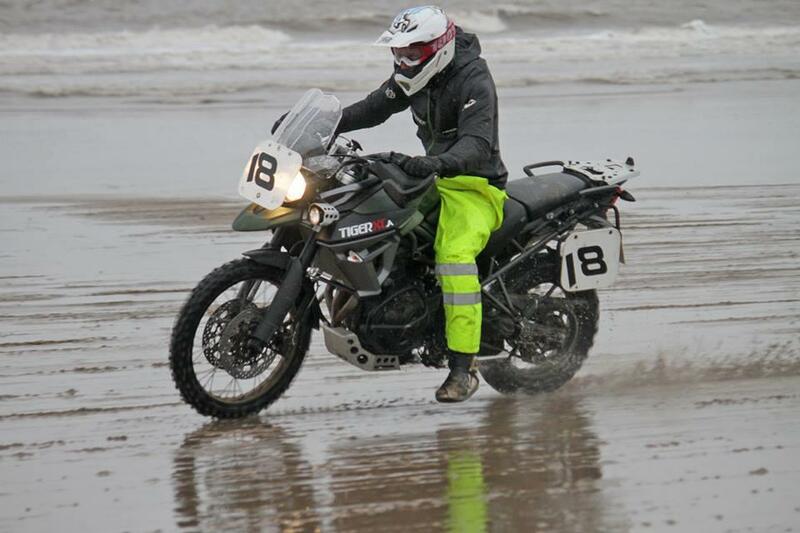 Road racing ace Guy Martin lined-up alongside fierce competition on New Year’s Day, riding a Triumph Tiger 800 XCA on the sand at the Mablethorpe beach racing. Unassumingly dressed in a plain jacket, white helmet and Hi-Vis trousers, the TT and TV ace wrestled the mid-sized adventure bike around the oval track in a battle against the elements. What’s good and what’s not about this AIM SmartyCam GP HD? Facebook user, Peter Starr was at the races and captured Martin in action, alongside other competitors riding machines more suited to the terrain. Mablethorpe plays host to beach racing between October and March, with the next meeting taking place on January 15.